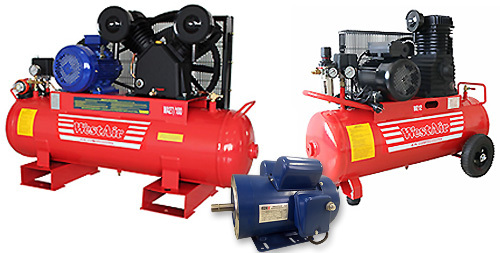 Air Compressor Motors by REMX. Motors to cover all applications complete with standard fixtures and excellent efficiency in both Single Phase and Three Phase. To replace brands such as Westair, Pilot, Ingersol Rand, Atlas Copco etc.